Satisfied Customers in Singapore who gave Facebook testimonials. I’m so grateful for my Nanny Mei Hui from Confinement Angels who was there to see me through this period. I’m eternally grateful for all the support she has provided me with. It’s been 5 days since she left us and I surely do miss her. I believe my boy does too – I mean, just look at how much she dotes on him!! We’ll like to thank Aunty Kwee Bey (CA109) for being so supportive and wonderful to our family the past month. It is so reassuring to see that Aunty Kwee Bey genuinely loves babies and takes very good care of my baby girl. She’s gentle with my baby and I feel safe that my baby is in Aunty’s good hands. My baby has rather serious jaundice and we rented the Bilibed and lamp 3 times for phototherapy at home (that’s 3 times of 3 days 2 nights phototherapy – very long!). Huge thanks to Aunty Tan Teck Ai CA150 , so lucky to have u as my confinement nanny. She showed her professionalism the moment she entered my house. She prepared food confinement food and red dates tea to help me to recover. She is good at cooking. The food is really yummy. Aunty Ai always tries different ways to cook for me and my family. We get along very well. 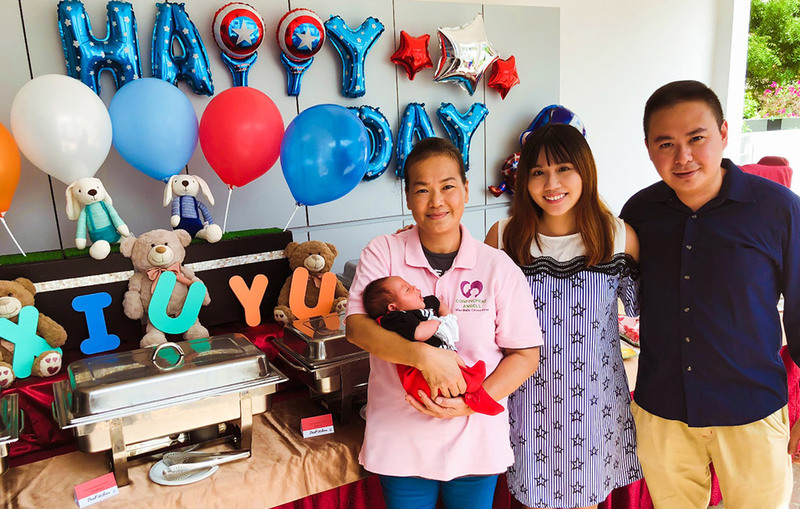 We would like to say a BIG THANK YOU to Aunty Fong Thai (CA65) for her merticulous care to both baby and mummy during the past 28 days. She is very experienced with baby care and has a good working attitude. Within a few days under her care, our newborn’s jaundice level is controlled and improved. Aunty Fong Thai is particular about hygiene, humble and very smiley. She’s also an excellent chef. The whole family look forward to meal times every day and there’s completely no leftovers. 9 Sep marks the end of my confinement “holiday” and we are sad that we have to say good bye to Aunty Ege Ngoo. My family would like to say a huge thanks to Aunty Ege Ngoo (CA 162). She has made confinement such an enjoyment for the family. Great, healthy and balanced diet – Aunty is a great cook who whipped out healthy and balanced diet. I didn’t have to drink red dates drink for the entire confinement as she makes other drinks of various nutritional value for me as well and these drinks complement my daily diet as well! We would like to say a very big thank you to Auntie Choi (CA71) for these 28 days. She not only takes good care of our little baby girl and she cooks well for the whole family, she also helps with looking after my other 2 boys and doing housework. Thumbs up to her patience, caring and positive attitude! We’ll miss you, Auntie Choi! Thanks. Thank you aunty Kim How for taking such great care of us, treating us like her own family. She even went out of her way to prepare frozen meals for me and pack the herbs into individual portions so that I can continue to have nutritious meals after she leaves. It’s been a blessing to have her help during my confinement. 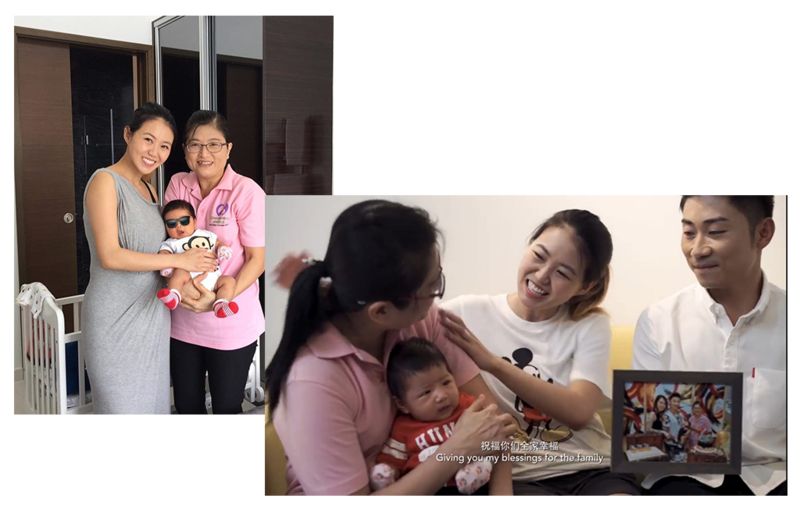 I would like to thank (Nanny CA141) Lai Kwan Fong for her patience and care shown towards me, my baby and my family. She also whipped up delicious dishes for lunch and dinner. She will leave us in 2 days and we will miss her. Thank you once again Aunty Fong! Peggy (CA086) worked for us for 2 months. We were so pleased with her that we extended her contract for another month when the first month ended. During the 2 months, she had been a tremendous help to us. Apart from being very experienced and very attentive to our needs, it was not difficult to see that she truly put mommy and baby’s interest first. She always encourages and pass positive vibe to us. Thank you Team Confinement Angels for sending us Chin Choy Chan (Ref 897). During her stay with us, she has given baby Joshua and I her best round-the-clock care everyday. 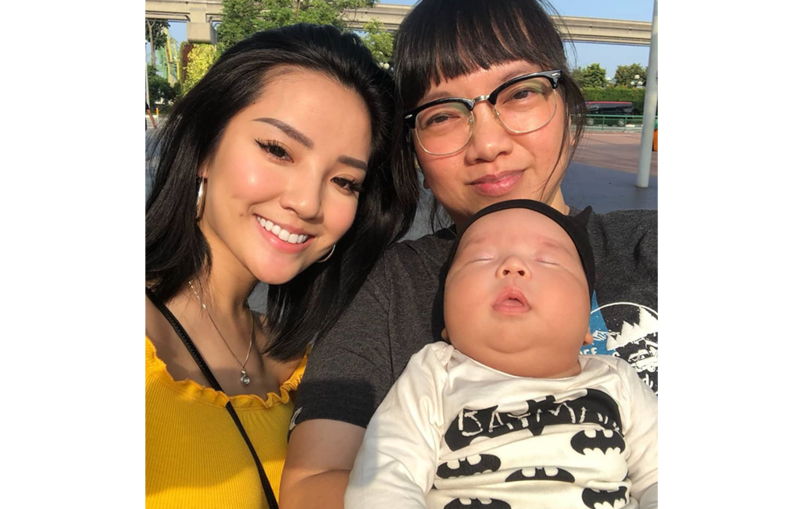 Aunty Chan has a genuine heart for babies. She pays attention to the smallest of details e.g. when she cleans the hands of baby Joshua, she will peel open his clenched fists and go through every finger to make sure they are clean. Nothing goes past her sharp eyes.